Hello guys? How has your week been? Great I hope, well my week has been full of greatness, attainments and all that good GOD feeling, even though some people tried to make me really angry; dropping bad vibes in my activities, I stayed praying to God because to start with, I don’t even know how to handle anger so I let it all go; *winks* I’m phlegmatic like that. Anyway, I remember when I posted my last favorite, I said I wanted to make it constant; like every new week, well my bad. 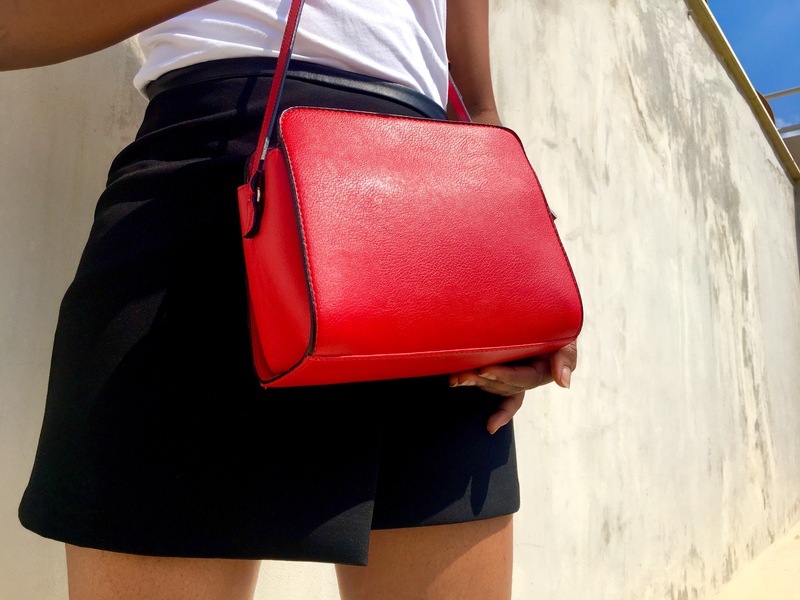 I didn’t keep to my words but, I have been itching to blog this on my favorites anyway; this BAG. Let me give you the gist…. Few months back, I was screen shopping on Zara website, and I found this bag, immediately, it called my name. I knew it deserved to be mine, but unfortunately they don’t do shippings to Cyprus, and to be honest with you, I have been wanting a red bag for the longest time; any type, I just wanted something shouty whenever I wore neutrals, but I wanted it portable. Now this bag was all I was looking for, and I got it from a street store here in Cyprus, COLLEZIONE. It took a week before I got the bag and the sales attendant was business minded enough to put me on the edge and say it was the last one. Guys!!! for that one week I dreamt of the bag every night until I finally got it. Immediately I got it, another one was hung on the same spot as I left the store; another last one. I just laughed, at least it was a push to get it before they get to the actual last one. Well, for the two months I’ve had it, I can tell you I have carried it more than my everyday black bag and it just contains everything I want in it; A book, purse, glass case, stationary purse and am sure there’s space for one more thing… yes! my phone and its charger… I know right! It looks so small but it takes a lot…(some inspirational post going up in my head as I typed that) I believe this bag is totally a staple in my wardrobe. How perfect is this bag for the summer? Your bag is beautiful! The colour just made your outfit pop.